If you have a few minutes and would like to see an overview of the economics of healthcare in America, then watch the linked short movie. 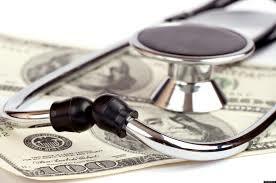 It is produced by We the Economy and it is a light-hearted but accurate take on the costs of our health system. The video is titled, This Won’t Hurt A Bit. Enjoy! Independence Day, July 4th, 1845: Henry David Thoreau (HDT) moves to his cabin on Walden Pond. Occasionally, Independence Day passes without my remembrance of Thoreau’s great experiment, but most of the time in early July I recall the event. The Christian Science Monitor reminded me this year in the article linked below. Thoreau had an adequate house for his purpose there, not large but devoid of distractions nonetheless. Thoreau spent most of his writing time at Walden Pond working on A Week on the Concord and Merrimack Rivers. 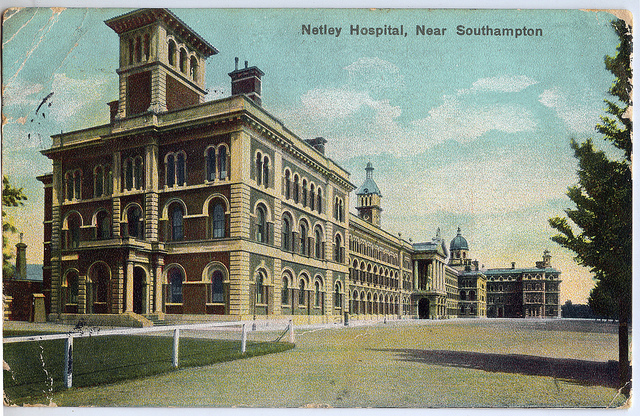 It would be his enduring story and musings of the memorable trip with his brother, John, in 1839. John Thoreau died just three years before Henry moved to Walden. Although A Week on the Concord… is a great read, it was not my introduction to HDT. 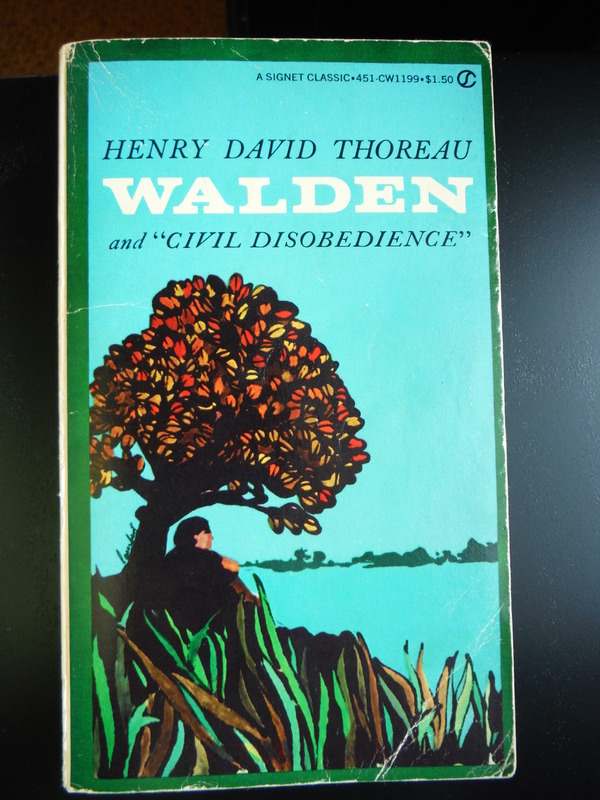 During my junior year at West Hopkins High School, my English teacher, Carolyn Ridenour, included a few chapters from Walden as part of a survey of American literature. I don’t remember which chapters were included nor any great impact at the time. However, something stayed with me about a man living alone in the woods, writing about nature, reading, raising a garden, and seeking the marrow of life in the 19th century. 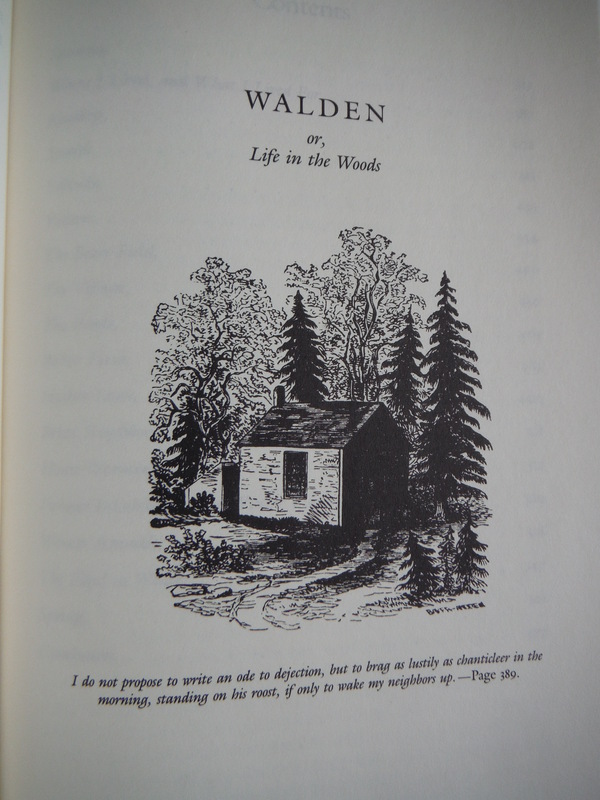 I’m not sure of the exact date, but sometime in the summer of 1980 leading up to my freshman year in college at Murray State University, I bought my first copy of Walden. The book cost $1.50 in paperback. I could have read it in a couple of weeks even with the load of college assignments, but I didn’t. I read it slower than any book prior to or since then. Almost every page had bits of wisdom. 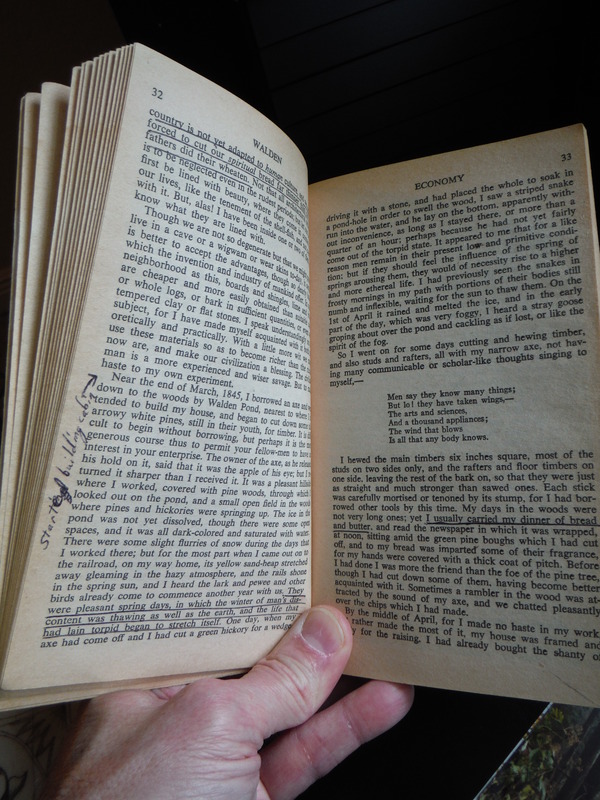 I underlined and wrote notes in the margins as I worked my way through every page and chapter. It was an unassigned part of my freshman year but one that has lasted greater than thirty years. My college roommate, John Pryor, was a huge music fan. He had pictures of Ronnie Milsap and Henry Mancini taped to the wall on his side of the room. To balance the decor, I needed something of interest for my bland block wall over the bed. So, one evening while studying in the Waterfield Library I found the section of books by HDT and made four copies of a 19th century daguerreotype Thoreau photo. Later that night on returning to the dorm, I taped my collection to the wall. Thoreau was a nice balance to Milsap and Mancini. 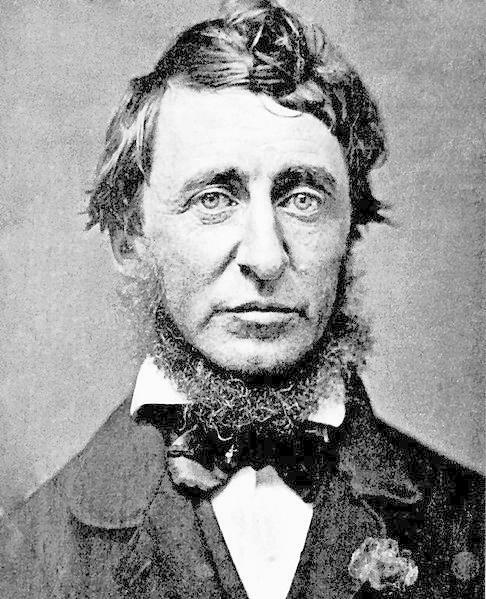 It was self-expression–my Independence Day with help from Henry David Thoreau. Father’s Day is here and time to offer a retrospective on my dad. 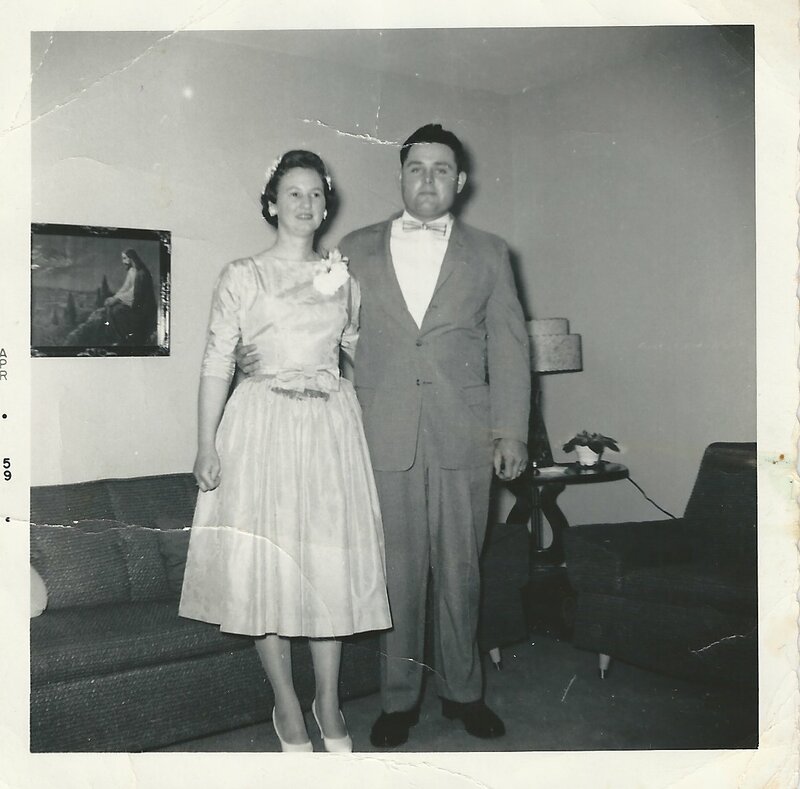 The photo below shows my parents on their 1959 wedding day in Manitou, Kentucky. This was three years before I came into existence. The man in the picture was the same one I knew as a child and nothing much changed about him to this day, other than the effects of more than five decades of aging, which has changed me, too. Someone said, quite accurately, “Leonard has the patience of Job.” That’s a story I’ll tell later, but before that a few thoughts about others that weren’t so fortunate. It’s been interesting to think about the many writers I’ve been drawn to over the years and realize the often painful relationships they’ve had with their fathers. It’s strange because my father and I always had a great relationship and stories of absent fathers, alcoholism, and uncontrolled anger were foreign to me. No one has written better than Pat Conroy when it comes to telling the story of growing up with an abusive father. The Great Santini was published in the mid-70s and then The Death of Santini: A Story of a Father and his Son in 2013. Times were bad in the Conroy household, but weaving the story of survival through his writing provided the author with some degree of acceptance and love in spite of the scars. “Without a father’s blessing, a boy’s individuality and personhood are not finished.”–from Death of a Hero, Birth of a Soul by John C. Robinson, PhD. Receiving your father’s blessing is not something given actively at a single moment in time or written or even spoken. It is something given through a life well lived. A father’s blessing is given daily without saying a word. “Actions speak louder than words,” is never more true than when referring to a father and his children. My father is not a man of many words, but all his words are true, sincere, and never spoken in anger. “The heaviest thing I have ever had to carry is my father’s fame.” Bogart: In Search of My Father. Stephen Bogart. Humphrey Bogart was one of the biggest names in Hollywood and remains one of the greatest actors of all times. His son, Stephen, has written a beautiful memoir of growing up in the shadow of the fame of his father (and mother, Lauren Bacall). This was not something I had in my life. I can never recall feeling stress to accomplish something because of pressure from my parents. My parents have always been proud of my path through life, but I realized early on that accomplishments were never connected to their love for me. There was never a shadow of fame in our home. Once when I brought home a report card with a C grade, Dad said, “I never brought home C’s when I was your age. Of course, I never had any A’s or B’s either.” He finished his formal education in the 8th grade, but continued his practical education into appliance repair, furniture sales, upholstery, and locksmithing (which I also learned and became quite adept at picking locks). His scholarship was always in the King James Bible; he knew it better than I thought anyone could know any subject. Robert Bly, although a poet, has written great prose works about becoming an adult and the detrimental effect of the absent father in modern culture and the deficient fathering skills of those who are present. In Iron John he took the Grimm fairy tale and wove it creatively into a modern guide to men on their journey from boyhood into manhood. I highly recommend the book and, if it’s still available, the audio version with Bly’s own vocal interpretation is a masterpiece. His book The Sibling Society expanded on the idea that we have largely become a society of adolescent adults. In the eighteen years since it was published, I find it hard to disagree. Dad’s wisdom was born and cultured in rural Kentucky. His wisdom is centered around the ‘Fear of the Lord’. He imparts his great wisdom by living it. He exhibits all the good characteristics of Buddhism and the Tao Te Ching without having read them. He was present at home as a teacher of wisdom long before the Men’s Movement and Promise Keepers were trendy vogues. So, now to the story that exemplifies the ‘patience of Job’. 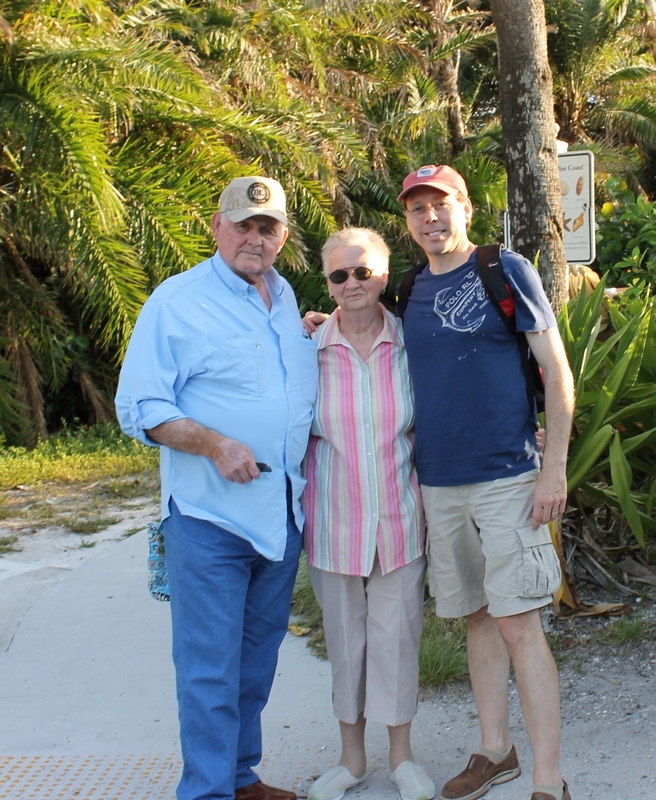 A few years ago, Mom and Dad went to Nashville to visit my brother, Paul, the week before Christmas. One of the annual traditions was to go to the Opryland Hotel to see the extravagant decorations and festivities. They decided to drive separate vehicles since my parents were leaving for home after the visit. Around 6pm they left with Dad leading the way in his custom van a few cars ahead of Paul and Mom. In the midst of heavy traffic they lost sight of each other. For anyone who has ever been to the Opryland Hotel around Christmas you know that traffic can be horrendous. This was before mobile phones were welded to everyone’s hand. The entrance road to the hotel makes a loop around the extensive complex that takes at least 20-30 minutes. Paul and Mom made a full loop in the creeping slowness of the holiday traffic and saw no sign of Dad or the van. So, they made another loop, and then another, and another. Over two hours later, they parked and went inside hoping to find Dad on faith alone. After an hour in the sea of people, no luck at all. By then it was nearly 10 o’clock and they were worried that something could have happened like a car accident or some criminal activity or medical problem. They decided to return to the house and make some calls. Paul called the police to see if there were any reports of accidents or crime and checked at local hospitals. There was no trace of Leonard Parish. After the futile search, the only thing option was to return to the Opryland after the majority of the people were gone and explore every parking lot that surrounded the facility. He arrived around 1:30am and began the search. By 2am, he spotted a lone custom van with a light on parked in a remote overflow parking area. In the van sat Dad, reading a Gideon Bible. Paul pulled up as Dad got out. After eight hours of sitting in a van in the winter weather of Nashville at night, Dad was content and acted like nothing had happened. It was a true representation of his personality. I love you, Dad. Have a Great Father’s Day and many more to come. Thanks for teaching me and my family what it means to be a father.